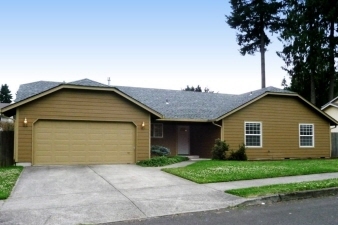 Well-cared-for one-level ranch w/new roof & fiber-cement siding. Great room vaulted floor plan has slider opening to lovely level fenced backyard ready for your summer entertaining. Gorgeous neighborhood park w/amazing trees nearby. Potential to expand:back 1/2 of 4-Car Tandem Garage Slab is insulated-can be converted to family rm/bedroom/gym/bonus, buyer to verify w/ the County.